The embassy of Qatar held a reception in the Malaysia on the occasion of Qatarr National Day. The ceremony was attended by Malaysian Minister of Health, Dr Zulkafl bin Ahmed, representing the Malaysian government, as well as a number of government officials and heads of diplomatic missions accredited to Malaysia. 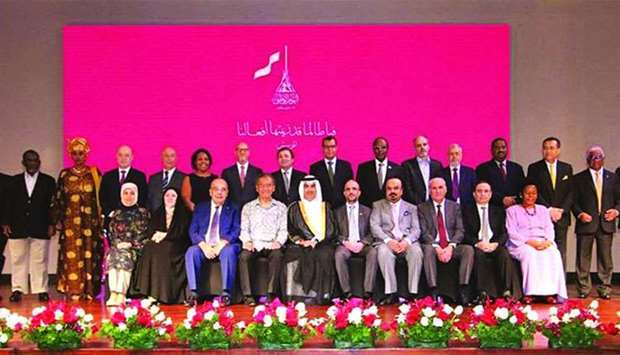 Malaysia's Foreign Minister Saifuddin Abdullah congratulated the leadership, government and people of Qatar on the occasion of the National Day, which was celebrated on Tuesday (December 18), looking forward to broadening the existing co-operation between Qatar and Malaysia. In an exclusive statement to Qatar News Agency (QNA), the Malaysian Foreign Minister said that His Highness the Amir Sheikh Tamim bin Hamad al-Thani's visit to Malaysia presented a perfect avenue for the Amir and the Prime Minister of Malaysia to discuss and exchange views on a broad range of issues including bilateral co-operation and regional and international affairs. Both countries are committed to further strengthen and broaden co-operation in all areas, particularly in trade and investment, the Malaysian foreign minister said, adding that the next step is for the relevant agencies of both countries would take the necessary follow-up actions to all the outcomes of the discussions between our leaders. 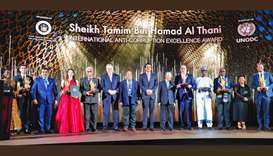 The recent visit of the Amir to Malaysia, from December 5 to 7, was also in conjunction with the Third Sheikh Tamim International Anti-Corruption Excellence Award, the Foreign Minister said, appreciating Qatar's recognition of the efforts being undertaken by the government of Malaysia in fighting corruption. The minister said that Malaysia enjoys distinct relations with Qatar, affirming that co-operation between the two countries has blossomed beyond the political sphere and into other areas such as trade and investment, construction, banking and finance, higher education, technical, legal and judicial fields. It is evident that both countries are ready to elevate the relations to a greater level, he said, adding: "Our leaders have agreed that both countries must continue to maximise the potentials and promote collaboration in all areas that are mutually beneficial to the people." In a meeting with the Malaysian Prime Minister Mahathir Mohamed in Kuala Lumpur on December 6, the Amir reviewed the bilateral relations between the two countries and means of boosting them in various fields in order to reach a wider horizons. They also exchanged views on a number of regional and international issues, including the Yemeni and the Syrian crises. The meeting also discussed Malaysia's efforts to assist Rohingya's refugees, where the two sides agreed to intensify humanitarian efforts and charity to help the refugees in their ordeal. Moreover, the meeting covered the Gulf crisis and the need to resolve it through dialogue and diplomatic means between the parties concerned. Foreign Minister Saifuddin Abdullah underlined that as relations continue to grow, Malaysia and Qatar have agreed to establish a new mechanism to ensure the implementation of agreements reached between the leaders of both countries, noting that this mechanism includes the formation of a high joint committee chaired by the two countries' foreign ministries and its first meeting is expected to be held as early as next year. On his assessment of the business and trade exchange between Qatar and Malaysia, the foreign minister said that the total trade between the two countries has increased by two-fold in 10 years, from $320mn in 2007 to $670mn in 2017, stressing that the current warm and close bilateral relations that exist between the two countries at the political level provide a strong foundation for a more active and meaningful economic co-operation in the future. The momentum will continue as Malaysia is expected to host the second Joint Trade Committee in Kuala Lumpur in 2019, he said. "Both sides have also agreed to continue to encourage the active participation of the private sector in promoting business activities and networking. Malaysia welcomes greater economic partnership and trade co-operation with Qatar. We are encouraged that Qatar is willing to increase and diversify its investment in Malaysia," the minister said. Regarding the extent of Malaysia's contribution to Qatar's preparations to host the FIFA World Cup 2022, the Malaysian foreign minister said: "We have and will continue to encourage Malaysian companies to venture into Qatar, including by participating in various Qatari development projects that are related to FIFA World Cup 2022 and also Qatar Vision 2030". Aside from construction, infrastructure and building projects, they could also find opportunities in the supply of products and services. The Qatari government has made it clear that they welcome the participation of our companies." In regard of to what extent does Malaysia policy agree with Qatar in dealing with international issues especially the Palestinian issue and the Rohingya, he said that the Muslim countries should play a more proactive role in addressing humanitarian and development issues involving the Islamic world, including on the issues of Palestine and Rohingya. He also said that Malaysia will always contribute and support the joint efforts of the international community, in whatever means possible, to promote peace and stability, stressing "We, therefore, count on the close co-operation and regular dialogue with other countries, including Qatar, in addressing the various global challenges."